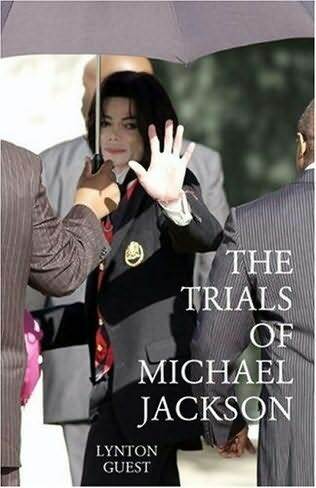 "The Trials of Michael Jackson" is the most authoritative, insightful and eye opening book that boldly goes to where no author dares to go vis a vis the "Trials of Michael Jackson". With immaculate research, uncompromising objectivity and comprehensive overview of Michael's business affairs, especially with Sony, the book is a must-read by Michael Jackson fans. The author of the book, Lynton Guest, added an Epilog after Michael's death under suspicious circumstances and he was gracious to share it with fans. The following Epilog is published at the request and with permission by Lynton Guest. Is the Right man on Trial? As the whole world knows, Michael Jackson died on June 25 2009 at his rented home in Los Angeles. This is just about the only fact upon which most of us can agree. Once the story was out, the speculation machine swung into action with ever more lurid stories appearing in the world’s press. At the same time something incredible happened. All round the world, people stopped what they were doing. Whatever the naysayers might claim in order to downplay the importance of Jackson’s passing, the inhabitants of planet earth instinctively knew they had lost one of those artistic geniuses who come among us only too infrequently. Think Bach, Mozart, Beethoven, John Lennon and Marvin Gaye. 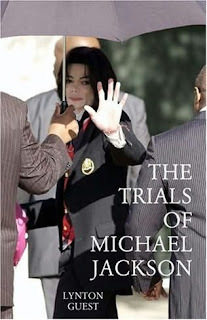 In writing this book I investigated how, in his later years, Michael Jackson was beset with trials and tribulations which, on the face of it, were unconnected to each other. There was the prosecution on child abuse charges, the downturn in record sales, the financial catastrophes and the struggles to retain ownership of assets such as Sony ATV, his back catalogue of recordings and Neverland. Yet far from being coincidental, everywhere we detected the hidden hand of the Sony Corporation attempting to orchestrate events. My account has never been refuted. If anything, the information I unearthed has gained ever more currency in the three years since the original book was published. Could it be that a continuation of the events I described, or something similar, was involved somehow in the singer’s death? Given Michael Jackson’s unbelievable life, that idea didn’t seem so far-fetched as it otherwise might. The televised memorial service from the Staples Center in Los Angeles was beamed round the world. In the UK, it was shown live on three channels. It was the same everywhere. In the wake of Jackson’s death the airwaves, column inches and online postings were replete with tributes from hundreds of Jackson’s colleagues, friends and family. There was Rev. Al Sharpton, who organised the famous ‘Go back to hell, Tommy’ incident in New York, discussed in Chapter 4. There was the psychic, Uri Geller, who had advised Jackson for a short period around the millennium, who took him to Exeter City Football club and who made the fateful introduction to Martin Bashir. There were employees past and present. There were all the family members. And there were many, many more. Most of them turned up at the Staples Center. The absence of two of Jackson’s closest friends – Elizabeth Taylor and Diana Ross - caused some comment but generally speaking there was a huge turnout. Except that there was one glaring omission. Where was any representative from the Sony Corporation? Where were the press conferences by present Sony executives bemoaning the death of their greatest artist. The memorial show was populated almost entirely with Motown stalwarts, Lionel Ritchie, Stevie Wonder, et al. Even Berry Gordy made a speech. Yet Michael Jackson spent a mere seven years with Motown, while he was signed to Sony for nigh on three decades. It was with Sony that he had his greatest triumphs. And wasn’t there a degree of acrimony in the parting of the ways with Motown? Yet here was a virtual Motown-fest. It was the first in a chain of strange occurrences. So the question is: Why no Sony, who at first sight benefited most from Jackson’s demise? In the days after the news rocked the world, sales of Michael Jackson’s recordings went through the roof. In many territories his back catalogue comprised sixty percent of all music purchased. His videos were playing constantly on the music channels of the world. Sony was raking in money. My admittedly crude assessment is that within one month of his death, Michael Jackson’s debt was all but eradicated, while Sony (and to a lesser extent Motown) cleared half a billion dollars. They were the great initial beneficiaries of Jackson’s sudden departure from this earthly realm. The honourable exception yet again was Paul Russell. From his retreat in Barbados he issued a eulogy to Jackson and spoke to the media to let them know how stunned and upset he was. He even provided some exclusive pictures of his years with the King of Pop which were printed in the British newspaper, the Sunday People. But that was it. Not a word emanated from the Japanese mega-corporation to suggest its executives were grieving with the rest of us. They must have been too busy rubbing their hands. Sony had another reason to be cheerful. The original version of this book took great pains to unravel the story of Sony and Michael Jackson. One of the most important elements was the Sony ATV music publishing catalogue, which owns the rights to the songs of John Lennon and Paul McCartney. However, the issue of ownership was not totally resolved by the time the book went to print, although some evidence had emerged. What happened was this. Michael Jackson, after his acquittal, was forced to live a somewhat nomadic life. Shunned in his homeland, he wandered the world looking for some sort of salvation. The loans he had taken out would not go away, however, and the singer was forced to enter into an agreement with Sony, under which Sony assumed the debt in return for half of Jackson’s shares in Sony ATV. The company also negotiated an option to purchase the remaining shares, an option which they could take up at any time of their choosing. These shares were transferred to a trust of which Jackson was a stakeholder. This convoluted structure enabled the King of Pop to say, with just-about honesty, that he still “owned” his half of Sony ATV. But in reality the whole company now belonged to Sony. Their desire to have complete control, put into motion years previously by Norio Ohga, was finally fulfilled. The matter of ownership of Jackson’s catalogue of recordings was put on the back-burner, and caused problems from time to time but Sony held all the aces. Then, with Michael Jackson finally out of the way permanently, Sony managed to be in a position to cash in on the man who inspired its leaders to buy CBS in the first place and make all that money. These days there is a macabre list of the yearly earnings of dead stars. Most years it is topped by Elvis Presley but other notables, such as John Lennon and Frank Sinatra make regular appearances. In 2008, Elvis earned some $55 million for his estate, $14 million of which was through merchandising his image and name. Michael Jackson will top Elvis’s earnings easily and will head the ‘dead stars’ list by far for the next decade at least. Sony, no matter what problems might be experienced in other parts of its empire, will continue to benefit exponentially. Five years from now Sony’s annual revenues from Michael Jackson related activities, including Sony ATV, will exceed five billion dollars. Counter-intuitively, Michael Jackson’s proposed comeback gigs in London could have put a dampener on Sony’s profit stream. The singer’s vast potential earnings from these concerts were set to transform his situation. When the gigs were announced, the world was stunned when almost three quarters of a million tickets were sold almost as soon as they became available. It was the biggest indication yet that Jackson could still occupy the top echelon of the showbiz pile. This was not what Sony wanted at all. They wanted a broken and weak Michael Jackson, one whom they could still control. I shall return to this theme later. First I want to examine some of the claims and allegations that flourished in the immediate aftermath of Jackson’s death. At first, it was assumed that Jackson suffered a fatal heart attack and that he died of natural causes. Meanwhile, the world’s press chased anyone who had ever known the singer looking for stories, the more outrageous the better. Nowhere was this more so than in the British newspapers, most of which had a new Jackson headline every day. Some, such as The Sun, claimed to know the results of the autopsy, even before it was completed. The most authoritative provider of facts remained the American TMZ website, which was the first news outlet to report the star’s death. TMZ repudiated The Sun’s take on the autopsy but gave some credence to a former Jackson nanny, Grace Rwaramba, who claimed that she had to “repeatedly pump his (Jackson’s) stomach over the years” when he had too many prescription drugs in his system. Over the next couple of days most people focused on Jackson’s legacy of great music. Others praised his skills as an innovative recording artist. The writer, Germaine Greer, told us that Jackson’s contribution to dance was such that the way dance is now perceived and taught has changed to take account of his unique talents, technique and ability. It was reported that the Staples Center is owned by AEG Live, the company organising the London gigs and it was there that rehearsals for the shows took place. AEG taped some of these rehearsals and the company released a small amount of video footage to the media. AEG’s spin on Jackson’s stilted performance in the video was that he simply wasn’t going flat out while rehearsing but when necessary could turn it on, just like before. It looked worse than that to me. The TMZ website stated that AEG had invested almost “$30 million dollars in advance costs related to the London performances.” Again, according to TMZ, about half of this amount was insured. I find it hard to believe that any company, let alone one as experienced as AEG, would spend double on advance costs than they insured, particularly in Jackson’s case since he was known to be somewhat frail. I would also have expected AEG to have insured themselves against any loss arising from Jackson’s inability to perform at one or all of the concerts. The risk would be just too great. To date, Randy Phillips, the head of AEG, has been less than forthcoming over what arrangements were in place. While all this was going on, something didn’t seem right to me. Of course thoughts persisted as to what caused the fatal heart attack. According to the respected celebrity biographer, Ian Halperin, it was the “gruelling preparation for the O2 concerts in London” that ultimately killed him. A documentary shown on British television seemed to be claiming that Jackson had given up prescription drugs in a bid to get fit for the London gigs and it was this sudden withdrawal that caused the cardiac arrest. My memory turned to an incident that occurred in 2007 when Jackson was due to make a long-awaited comeback at the World Music Awards, held at Earlys Court in London, where he was due to sing. Once again, the media descended into an absolute frenzy. There had been talk of new recordings but as time passed nothing more had been heard of them, so attention was focused on the upcoming performance. What happened that night was something so unlikely it is a wonder that anyone believed it. But believe it they did. It fed the Michael Jackson myth-machine so well that nobody thought to look further than the lurid tale that accompanied the performance. Or rather the non-performance as it turned out. At the appointed moment, there was no sign of Jackson on the stage. After World Music Awards workers were dispatched to discover what was going on, the singer was eventually found by Beyonce Knowles lying in the foetal position in his dressing room, unable to perform because, as he told Beyonce, he had “stage fright”. Now Michael Jackson had been performing almost from the day he was born. He may have suffered from many things in his life but stage fright was not one of them. When he eventually took to the stage he gave perhaps the most lacklustre performance of his career. To my admittedly untrained eye he looked totally stoned. Or worse! He displayed classic signs of poisoning. Was this a harbinger of things to come? The incident at Earls Court was merely a very public manifestation of a private deterioration in Jackson’s condition that had been underway for many years. But the appearance in London showed a marked descent into something beyond the addiction to prescription drugs which had been so obvious at his trial. After his death I confided to a few close confidantes that I was not satisfied with the stated cause and believed that the singer might have been the victim of foul play. Most dismissed my concerns as preposterous. Then, on July 22, federal investigators raided Dr. Murray’s clinic in Houston, Texas. An anonymous police source told the media that they believed Dr. Murray had “administered a powerful anaesthetic that killed him”. It wasn’t long before Murray’s home and office in Las Vegas were similarly visited by agents with a search warrant. Propofol is an anaesthetic used in surgery. It produces unconsciousness almost immediately. It is said that when you wake up from it you feel absolutely incredible. It is easy to see why some people might get addicted to it, so total are its effects. It took only five years from its introduction for the first incidences of addiction to Propofol to be reported. At the time its use was confined to medical practitioners but it was not long before its properties became more widely known. Even so, its non-medical usage remains extremely rare, not least because it has to be injected or infused and addicts have to repeat the injection process up to one hundred times a day, due to the short action of the high. It often requires a local anaesthetic to be administered at the same time to reduce the painful nature of infusion. Normally, the local anaesthetic used is called Lidocaine. It is not clear how long Propofol remains in the system or whether it shows up easily in toxicology tests. To my knowledge, Propofol has rarely, if ever, been looked at as a cause of death of an individual who died in his own home. It should be obvious from the above that unless you are undergoing a surgical procedure, Propofol should be avoided at all costs. Unfortunately, research has tended to show that its oblivion-inducing properties have made it attractive to those who have suffered deep psychological trauma, particularly certain forms of childhood abuse. This is what may have drawn Michael Jackson to it. However, as Professor McLatchie so adamantly maintained, no responsible doctor would countenance its prescription to anyone outside the operating room. A registered nurse, Cherilyn Lee, who had attended Jackson in the past, told Associated Press that she repeatedly “rejected his demands” that she give him Propofol. So the question arises: what on earth did Dr. Conrad Murray think he was doing administering this most dangerous of drugs to the King of Pop? Michael Jackson had many personal physicians over the years. What began as a necessary adjunct to his entourage following his burning accident while shooting the advertisement for Pepsi Cola, gradually morphed into providers of hard-core prescription drugs. Jackson was one of those unlucky people who, having been properly supplied with prescription-only pain-killers, became addicted to them and would feel extremely ill if he didn’t have them. Like others who suffered a similar fate, the drugs supplied included Valium, Lorazepam and sometimes Ephedrine, a stimulant. However, from even the strongest pain-killers – the opiates – the move to Propofol was exponential. It is not even a pain-killer, it is an extremely powerful anaesthetic. The statement of Professor McLatchie tells us that it should never be given in a manner that might occur with more conventional pain-relief preparations. It is therefore important to look at the circumstances in which it was prescribed and administered, which parties colluded in it being made available to Jackson and what was to be gained by such collusion. Dr. Conrad Murray graduated from the Meharry Medical College School of Medicine in the top fifty percent of his class in 1989. Meharry is not a top notch medical school but perhaps one in the second rank of such institutions in the USA. His specialties are internal medicine, cardiology and cardiovascular disease. He landed a fellowship at the University of Arizona in 1995 and was appointed to the Foundation for Cardiovasular Medicine in San Diego the following year. Given the knowledge of the heart and its processes he must have obtained through specialising in these areas, it is even more incredible that he administered Propofol to Michael Jackson. In the USA, medics are not licensed nationally as they are in most countries. There, doctors acquire their licenses from a particular state where they carry out their practice. In Dr. Murray’s case, he was licensed to practice in Texas, Nevada and California. Jackson was not known for having any heart problems. So what was a cardiologist doing becoming his personal physician? It is thought that the singer might have been referred to Dr. Murray for some sort of tests to be carried out, probably for insurance purposes relating to the comeback gigs at the 02. It was beginning to become apparent that certain facts did not add up. Why did a cardiologist leave his supposedly lucrative practices to become a personal doctor, subject to the whims of a star? And why did he administer to that star one of the most noxious drugs possible? To answer this, we must look at Dr. Murray’s paymasters. Conrad Murray was engaged, not by Michael Jackson, but the company AEG Live, which was the organisation promoting the fifty comeback gigs at London’s O2 – the This Is It tour. Contractually, it appears that the Jackson camp, which no longer included his ubiquitous spokesperson, Raymone Bain (she decided to sue Jackson for what she claimed was $29 million in unpaid fees), but did see a return to the fold once again of Jackson’s long-time lawyer and manager, John Branca, ceded a number of key appointments to AEG Live, including the crucial position of personal physician. Exactly what his brief was remains unclear. And by how far that brief extended to providing the star with dangerous substances for non-medical reasons is a matter of speculation. It would seem likely, though, that the issue of Jackson’s drug taking must have been addressed at some point if only to ensure compliance with any insurance terms. Michael Jackson did not have a history of not turning up for concerts: That only occurred on a very few occasions. He was, however, known to be in physical pain and mental turmoil. In that scenario, insurance would certainly be made available by Lloyds of London, although the presence of an approved doctor would be an essential condition of the policy. AEG Live, under the watchful eyes of its CEO, Randy Phillips, would have been tasked with overseeing all of this. AEG Live is a wholly owned subsidiary of the Anschutz Entertainment Group, and is the second biggest concert and sports promoter in the world, after Live Nation. In recent times it has promoted tours by the likes of Justin Timberlake, Christina Aguilera, Bon Jovi, Usher and Prince, as well as various festivals across the USA. AEG also owns a number of lucrative sports franchises, including the LA Galaxy soccer team. It was the company that underwrote the huge amount of money - in excess of $100 million - it took to lure David Beckham from Real Madrid to Southern California. AEG, however, is itself a wholly owned subsidiary of the Anschutz Corporation, a US holding company formed in 1958 which now has interests in at least one hundred businesses. It is the private fiefdom of one man, the billionaire, Philip Anschutz. Anschutz hails from the west, where his father was a land speculator who moved into oil. When Anshcutz inherited the old man’s business, he turned it into a giant and upon the sale of fifty percent of the oil interests to Mobil for $500 million in 1982, Anschutz embarked on an ambitious expansion policy, taking in newspapers, movie theatres, railroads and telecommunications. All of this propelled him to become the 31st richest man in America, with an estimated fortune in 2008 of $7.8 billion. While his career seemed to go from success to success, he was accused of inflating the profits of one of the companies he founded – Qwest – then selling his own shares at a massive profit. Anschutz settled the case with some huge charitable donations. In 1999, Fortune magazine called him the country’s “greediest executive”. There is another, altogether more sinister side to Anschutz’s operations, however. It is a hidden agenda much like that of the Sony Corporation. Sony, remember, was always first and foremost a commercial enterprise but behind it lay the almost mystical ideas of its founders to be a repository for the honour of Japan. This was the fervour that had previously been invested in the Emperor. Similarly Philip Anschutz has motives that go beyond mere commercial success. What both companies have in common is that what they regard as the best-case scenario is the convergence of the twin objectives. This creates a ‘perfect storm’ where making money and the hidden agendas can be realised in the same activity. In Philip Anschutz’s case, his corporation is dedicated to furthering the ideology of America’s Christian conservatives. Anschutz was a huge supporter of the neocon project that was the driving force behind the Bush-Cheney regime. Just because Bush is no longer in power, it does not mean that the people associated with the project have gone away. On the contrary, despite being roundly beaten in the presidential election, they are turning their attentions to new strategies. To those outside the USA, it is difficult to understand how important the recent ‘culture wars’ have been to the country. They have pitted social conservatives, including and often led by, the protestant evangelical movement, against the more traditional liberal-conservative values that held sway in the USA from the Democratic presidency of Franklin Roosevelt onward. This evangelical movement, which is often at odds with more traditional forms of the religion, has had great influence on the modern Republican Party, at least since the era of Ronald Reagan. Philip Anschutz is a leading member of this constituency. He has been in the forefront of campaigns against abortion and gay rights and has overseen a massive amount of political lobbying for his cause. Moreover, he created the Discovery Foundation which promotes the concept of ‘intelligent design’ (a euphemism for what was previously called creationism) and vigorously opposes Darwin’s theory of evolution. The Discovery Foundation is in the vanguard of the movement to rid America of Darwinian science and replace it with a literal interpretation of the Book of Genesis. It is the sacred duty of such zealots to cleanse the world of what they regard as sin and error. Anschutz has deployed both his money and his influence in his quest to further these conservative Christian values. The reader may be forgiven for thinking, at this point, that Philip Anschutz’s religious beliefs are of minor importance in the operation of his business activities. But to Christian fundamentalists nothing is more important than their religious convictions. And at the extreme edge of this belief-system is faith in the End of Days and belief in the Rapture and prophesies contained in the Book of Revelations. I can speak with some authority on these matters. I am an Associate of Kings College, which means I have studied these ideas to a high level under some of the world’s most eminent theologians. I can say with certainty that those who are true believers will stop at nothing to ensure the day comes to pass when the prophesies are realised. On examination, it seems that the whole thrust of Anschutz’s activities in recent years has been concerned, as he sees it, to bring America back to God. Not in the meek and mild sense we associate with the Christian message these days but with a warlike and belligerent attitude that condemns unbelievers to the fires of hell. Anschutz’s ventures in the movie business seem to confirm this. His company made The Chronicles of Narnia and The Lion, The Witch and The Wardrobe, both of which are allegories of the Christian story. He is also said to have personally intervened in the editing of the film Ray, the biopic of Ray Charles, to take out many of the references to Charles’s drug taking and womanising and to play up the more Christian aspects of Charles’s life such as his gospel connections. So what are we to make of Anschutz’s dealings with Michael Jackson? After all, Jackson was a tainted brand, particularly in America after his trial. In all probability it started out as an exercise to promote the profile and profitability of one of Anschutz’s flagship operations, the O2 arena in London and steal a march on the world’s number one promoter, Live Nation. But it was not long before other issues surfaced that, to Anschutz, were more compelling. It is often said in the media that the 02 is ‘owned’ by AEG Live. In fact it is owned by the British Government, having been built as part of the turn-of-the-century celebrations and named The Millennium Dome. Constructed at a cost of $1.3 billion it soon became a white elephant and an embarrassment to the Government. Although it was originally meant to be a temporary structure, its very public failure ensured that the Government would look around for an alternative use. It was subsequently leased for 999 years to a consortium of two property companies, Quintain and Lend Lease. They in turn granted management rights to AEG Live. At the time of writing, discussions are taking place between Quintain and Trinity College, of the University of Cambridge, to buy the 999 year lease. It thus fell to AEG Live’s CEO, Randy Phillips, to turn it into a profitable venue. By the time Michael Jackson was recruited, AEG Live was certainly beginning to make a success of the rebranded 02. High profile sports events and concerts were giving it the reputation of one of the leading venues in the world. It would just take one more coup to seal its growing status and allow AEG to really challenge Live Nation. It was in this atmosphere that Randy Phillips turned to Michael Jackson. The mere mention of Jackson set off waves of media coverage for both the 02 and AEG Live. The man at the top, Philip Anschutz, stayed in the background but as we have seen, he was more than likely to be involved when necessary. At first, AEG told Jackson they wanted him to do ten concerts. That would have been a manageable number and would not cost too much if anything went wrong, as easily it might given Jackson’s recent state of mind and body. The ten shows sold out within minutes. As Jackson had not given a proper live performance in years, no-one could have known the massive impact his comeback would have. It was at this pivotal moment that the decision was taken to extend the number of shows to fifty. There is some dispute as to whether Jackson was made aware of the increase. What is beyond dispute is that AEG Live had lost their heads in the incredible amount of publicity and ticket sales that ensued when Jackson announced these would be his last shows. Randy Phillips and his backers were carried away on a tide of Michael Jackson hype which was normal for the singer but a new experience for them, even though they had hosted huge artists at the 02, like Prince. At first it did not look bad. On the contrary, everything was going from strength to strength. The fifty concerts sold out in an hour. Seven hundred and fifty thousand tickets were snapped up by people from all over the world. It looked like the coup AEG was looking for. It did not take long, however, for Randy Phillips to become deeply concerned and it was his duty to pass on those concerns to his bosses at the parent company. Jackson’s mental and physical condition was not good. If anything he was deteriorating. So along with the legions of dancers, musicians, sound and lighting operatives, choreographers and the small army of technicians required to stage full rehearsals, Dr. Conrad Murray was added to the list. His job was twofold. To monitor Jackson’s health and report to AEG, while at the same time administering whatever was necessary by way of drugs to keep the show on the road. Soon, the first few shows were postponed because of Jackson’s health and this was followed by a downturn in rehearsal hours. Now things did not look good at all. The rehearsals that did take place saw Jackson unable to make the complicated dance steps that were his trademark or to summon up the full potential of his magnificent voice. It was time for a review of the options. According to Ian Halperin, whose reports can generally be trusted as accurate, on the last night of Jackson’s life, the star was “over the edge.” He was “crying for his father, Joe” then began “reading the bible over and over again.” Somewhat more sinisterly, Halperin claims that Jackson accused those charged with organising his comeback, none other than AEG, of “betrayal.” He then called for Dr. Murray to “put him out.” This sounds like a full-blown psychotic episode to me, although Jackson now seemed to be harbouring genuine misgivings about AEG. The last thing a doctor should do in this situation is administer Propofol. Did Dr. Murray refer Jackson’s behaviour to his employers when he was called to give the star the ‘oblivion drug’ or ask for any guidance? If so, what would that guidance have been? Furthermore, was Dr Murray able to discern whether the singer’s behaviour was a precursor to cancelling the concerts? If this is so, what would that have meant for AEG and Philip Anschutz? It’s time to look at some kind of audit of AEG’s association with the King of Pop. The ticket sales brought in over $100 million, with much more to follow from merchandising, recordings of the concerts and the video footage. A successful series of concerts would also invigorate Jackson’s recording career generally and should have led to a new record which could have sold tens of millions. However, if Jackson failed to appear at all, this income would be lost as most people would want their ticket money back, no merchandise would be sold and any thoughts of a revival in Jackson’s career would be over. Insurance payments would cover some of this but the huge outlay that AEG Live had already spent, estimated at anything up to $30 million, would be lost. This would not be good for AEG, desperate to catch up with the world’s leading promoter, Live Nation. Its aspirations would be dashed right there and that in turn would reflect badly on Philip Anschutz and his Christian pretensions. Perhaps the decision was taken at that point to look for a Plan B. If Jackson really was in terrible health then maybe that would minimise the losses and the bad publicity. Knowing Anschutz’s anti-drug message, was it then that Dr. Conrad Murray began to play fast and loose with the medications he was prescribing for and administering to, Michael Jackson? It was around this time that Jackson’s demeanour began to go rapidly downhill and he appeared stoned or poisoned. It was only a short step from there to becoming embroiled in the mad world that had been created around Jackson and for the fatal overdose to be given. The other major beneficiary is, of course, our old friend, Sony. It is inconceivable to me that there would have been no contact between AEG and the Japanese when Jackson was hired for the 02 concerts. Sony, after all, owned all of Jackson’s main recordings. However, that paled into insignificance compared to the hit Sony would take if the shows were so good that they revived Jackson’s career…..with another record company. That though, is an educated extrapolation. Could I actually find any solid connection between Sony and AEG? The answer to that question is an emphatic ‘yes’. After Jackson’s death another request was made to the probate court. This time it was to ask the judge to approve a massive deal between AEG and Sony. With unseemly haste, while the Jackson family were dealing with the court over child-care arrangements and without having negotiated with any of the other major players, AEG agreed to sell to Sony’s movie operation, Columbia, which had been acquired from the old CBS in 1990, all the film footage from Jackson’s rehearsals. The number of hours of film contained in this deal was put at anything from 100 to 1200. It was to be edited down to produce a movie lasting about 150 minutes, directed by Kenny Ortega, who was responsible for High School Musical. Columbia was to pay AEG $60 million for the privilege. So Sony now had not only a monopoly on the sales of Jackson’s recordings, but also a sure fire movie hit that could not have been made if the singer had still been alive. All courtesy of Philip Anschutz and his corporation, who would keep enough control to ensure the ‘Christianisation’ of the Jackson image. It is true that in both the merchandising and film deals, AEG agreed to pay the lion’s share of any profits to the Jackson estate, keeping a mere ten percent for itself. However, profits only start to accrue once all costs have been met. These costs could stretch into infinity, as they did when Sony spent so much to such little effect when they marketed ‘Invincible’. The last question is this: why would Sony rush to help Philip Anschutz get out of the hole created by the Jackson deals? Hadn’t the Japanese been desperate to offload Jackson after his acquittal in 2006? The answer to that lies in events that occurred in 2007, when Sony was about to release the film The Da Vinci Code. The problem for Sony was that a huge amount of money, time and kudos had been invested in acquiring and producing The Da Vinci Code. But because the original book – which is one of the world’s all-time best-sellers - relentlessly questioned established Christian theology, a backlash developed among Christians, especially in the United States, who were lobbying to boycott the film. If the boycott had been successful, that would have been a disaster for Sony, which had much riding on the venture. They had every reason to believe they might be faced with such a problem. The response to the Mel Gibson film, The Passion of the Christ, was such that it showed the Christian lobby in full flow and what it could achieve. It was a group which, Sony thought, could make or break The Da Vinci Code. And such were Sony’s worldwide losses since the massive investment in the new Playstation and the associated Blu-Ray system of high definition video, the company could not afford for The Da Vinci Code to fail. So Sony decided on an unusual course of action. They mounted a charm offensive within the evangelical community. One of those they turned to was Philip Anschutz, who, as we have seen, has been a leading light in the movement for many years. Anschutz smoothed the path for Sony and The Da Vinci Code, possibly because its beef was more with the Roman Catholic Church against which Protestants have been at war for centuries. In return, when it came to the crunch, Sony was ready to return the favour and resume its alliance with Anschutz, even to the extent of becoming involved once again with Michael Jackson, albeit a now dead and sainted Jackson. Thus was Michael Jackson worth more dead than alive. On August 28, 2009, the Los Angeles county coroner’s report into Michael Jackson’s death was made public. The star died from “acute Propofol intoxication.” Also present were the drugs Valium and Lorazepam, along with the stimulant Ephedrine. The report meant that Jackson’s death was now officially a homicide. It is important to make clear that I am not accusing Dr. Murray, Philip Anschutz or Sony with the murder of Michael Jackson, even if his death does have the ring of at least manslaughter about it. What I am saying is that I believe I have put forward enough evidence here to warrant a full-scale investigation of all those involved in the singer’s last days. It is vitally important that any investigation should not confine itself to the hapless doctors who, after all, were employed by others named in this book. The US authorities can call for documents, subpoena records and interview those concerned to ascertain how far up the food-chain responsibility lies. I urge the authorities to act on this information. Only then will we be able finally to deliver justice to Michael Jackson and his family. I don't quite get it: Lynton Guest is making a connection between "Dr. Conrad Murray" and "Phillip Anschutz" because Murray is hired by AEG which is owned by Anschutz. But what does Anschutz's religious and anti-drug views have to do with anything Murray-related? He's saying he's not accusing anyone of murder, but he's certainly implying it. The only reason I see for relating Anschutz to Murray, is to imply that Phillip Anschutz had a say in what medications were prescribed to Michael, drugs that consequently killed Michael, thereby making Anschutz the reason for Michael's death. Also implicated, is that he did it for religious reasons. If so, why would Anschutz want Michael dead when Michael wasn't a threat to his Christian ideals/agenda? Which brings me to another point: what's with this "Christianisation" claim? For the fans who've followed Michael's interviews, he has consistently mentioned God and the bible all throughout his life. Michael was anti-drug. Michael was anti-promiscuity. It's not just Christians who hold these ideals, it's not just Christians who use the bible as their holy text. I wouldn't call that "Christianisation" of Michael's Image. Plus, like I said before, Michael already held those virtues. I would argue that Michael's public Image was already Christianized enough with all the Catholic Priests comparisons the public derisively likes to make. Mr. Lynton's diatribe about religion just comes across as that: a random, bitter rant about theists and the crazy things they're willing to do to get their message across——again, what does that have to do with Conrad Murray? With Michael Jackson (a man who wasn't opposed to those beliefs in the first place)? I'll give him one thing though: this deserves a proper investigation.